A decade ago, Apple opened a store peddling iPhone apps, unlocking the creativity of software developers and letting users truly make their mobile devices their own. The resulting explosion of phone apps—there are now more than 2 million for the iPhone alone—has changed daily life for billions of people around the world. It has unleashed new ways for us to work and play—and to become so distracted that we sometimes forget to look up from our screens. It has created new industries—think ride-hailing services like Uber, which would be unimaginable without mobile apps—and pumped up demand for software developers and coding schools. But it has also opened the door to an age of technology anxiety, rife with concerns that apps are serving us a little too well and holding our attention whether we want them to or not. None of that was going on when Apple's app store debuted 10 years ago Tuesday. At the time, mobile phones were largely a take-it-or-leave it proposition, with features programmed by their manufacturers and customization mostly limited to a choice between tinny electronic ringtones. The iPhone itself was still in its infancy, with only 6 million devices sold during the device's first year. Then came the App Store, which offered 500 programs users could take or leave themselves. During its first weekend, people downloaded 10 million apps—many of them games. 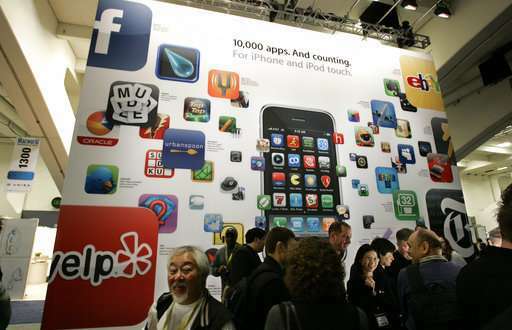 Apple competitors Google, Amazon and Microsoft soon launched their own app stores. Together, these companies now offer roughly 7 million apps . Apple, meanwhile, has now sold more than a billion iPhones . That app tsunami, and the riches it generated, spawned new economic opportunities. Billions of dollars flowed into startups dependent on their apps, from Uber to Snapchat to Spotify to game makers like Angry Birds creator Rovio. Opportunities for software developers blossomed as well. Apple perhaps benefited most of all. Its "free" apps usually display advertising or make money from subscriptions or other in-app purchases, while others charge users to download. Apple takes a cut of this action, sometimes as much as 30 percent. 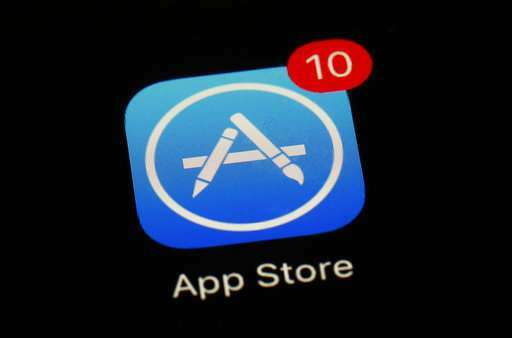 The app store is now the fastest growing part of Apple's business. Together with other Apple services, the app store generated $33 billion in revenue over the year that ended in March. The company says it has paid out more than $100 billion to developers during the past decade. For all the possibilities apps have allowed, there's also a dark side. The Center for Humane Technology, an advocacy group formed by early employees of Google and Facebook, charges that many apps are engineered specifically to capture our attention, often to our detriment. That makes them "part of a system designed to addict us ," the group says. Apple says it shares similar concerns. 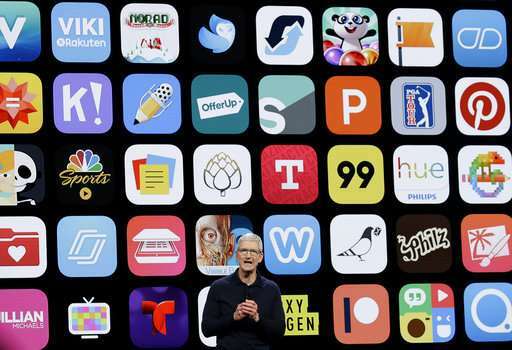 To help, the company is adding new tools to the iPhone to track and control the usage of the most time-consuming apps. © 2018 The Associated Press. All rights reserved.